Capt Andy and Rich hooked up with New England shark authority Capt Bill Brown of Billfish Sportfishing Charters. Bill Brown is a prolific outdoor writer, seminar speaker, successful tournament angler and one of the finest fishermen we have ever met. 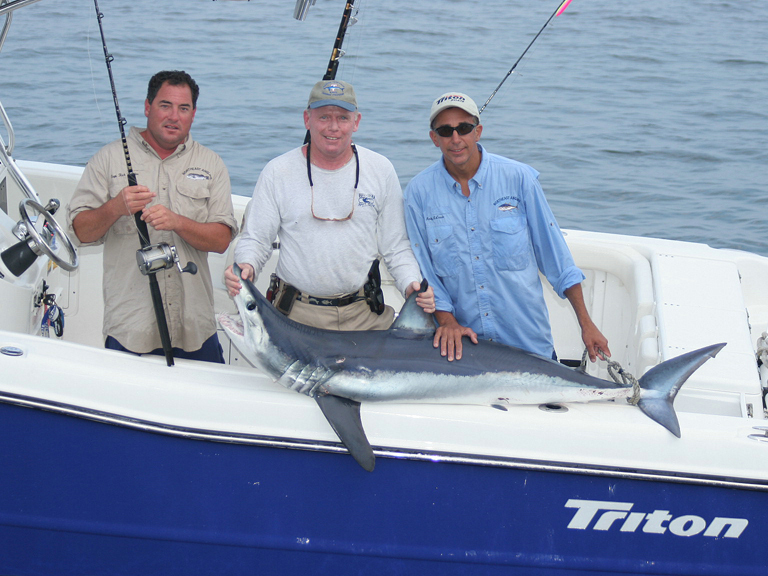 It is not easy to target Mako sharks in the Northeast, but Bill felt he knew where to get us one. Sure enough he came through as he did back 2004! The techniques and tackle in this show can be used by anyone who dares to chase these fearsome creatures. Click here for our Shark Tackle recommendations.